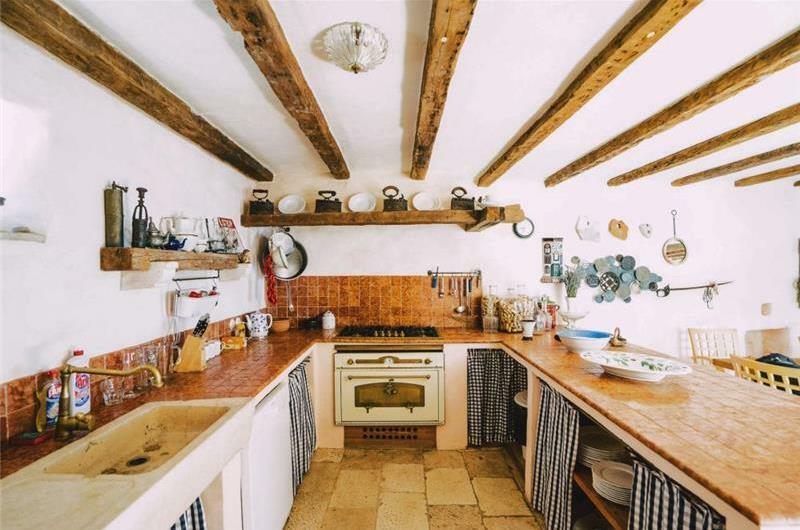 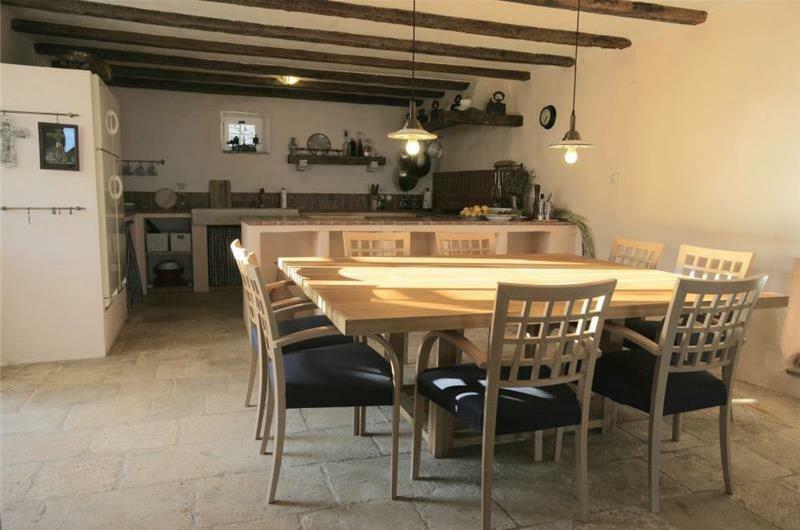 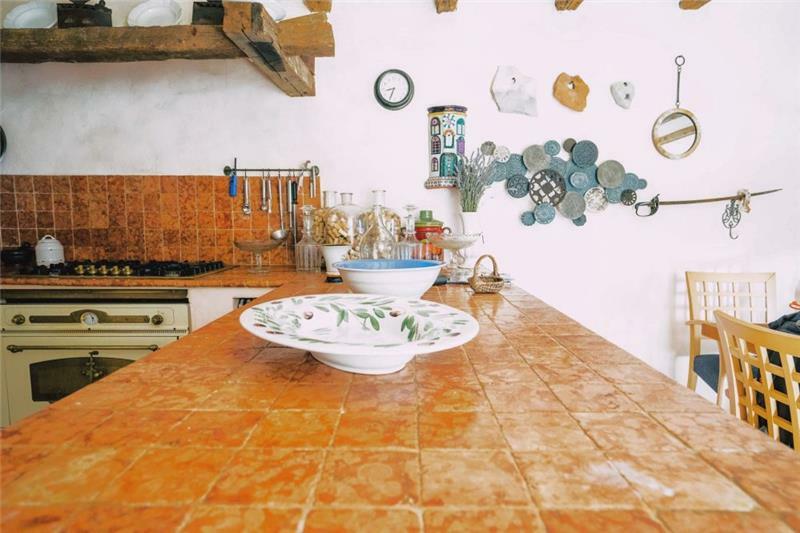 This exceptional stone villa set in thirty thousand square metres of extensive grounds has recently been refurbished and is presented as a main house with additional bedroom cottages. 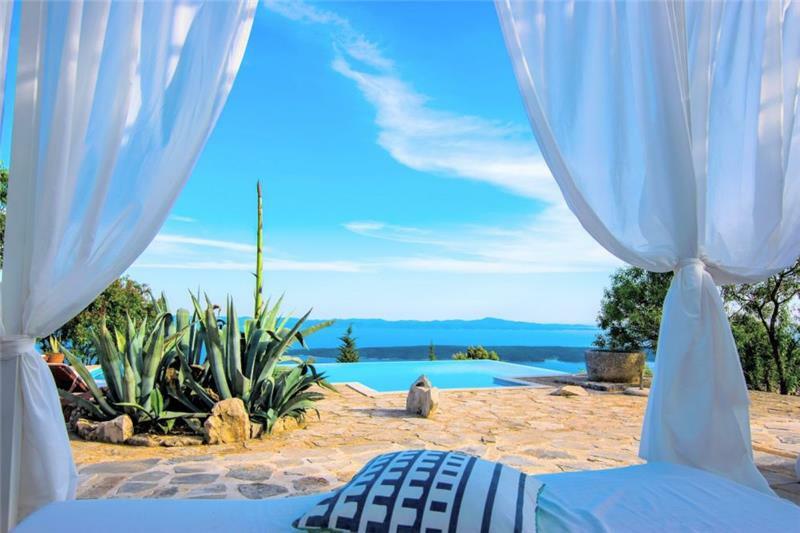 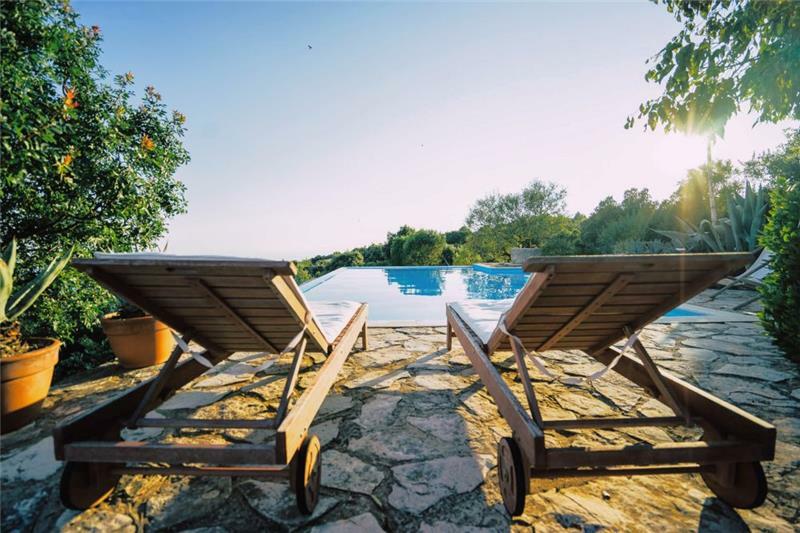 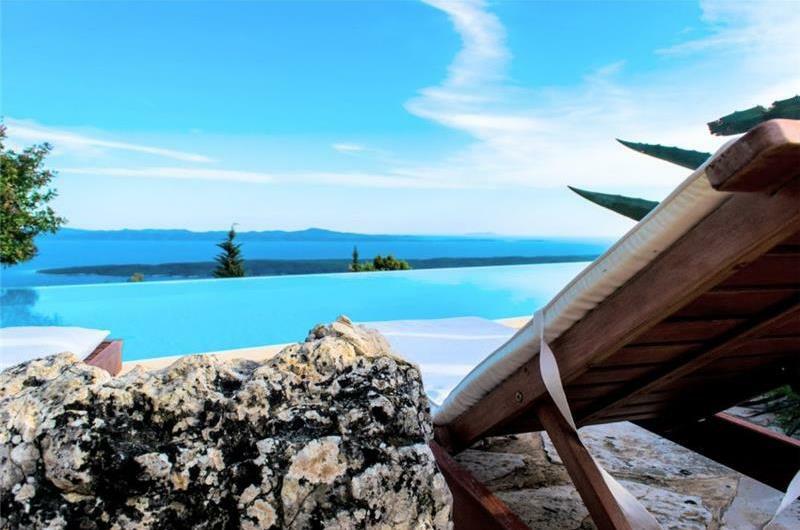 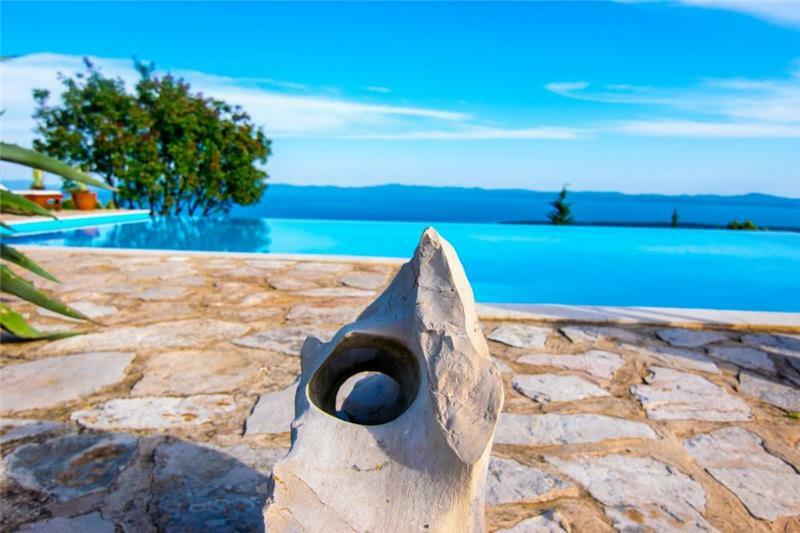 Located on one of the highest points on Hvar, the real treat is the fabulous infinity pool perched on the cliff top where guests can enjoy magnificent views of the Adriatic islands of Scedro and Vis and on a clear day the coast of Italy can also be seen. 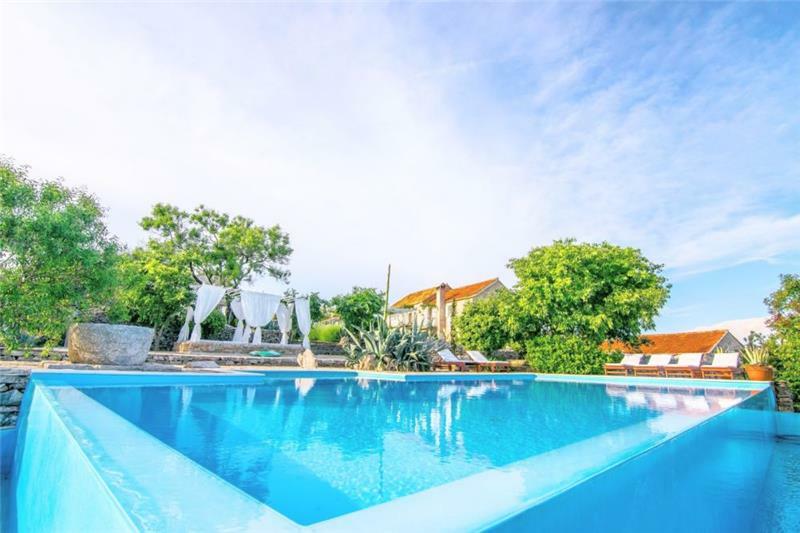 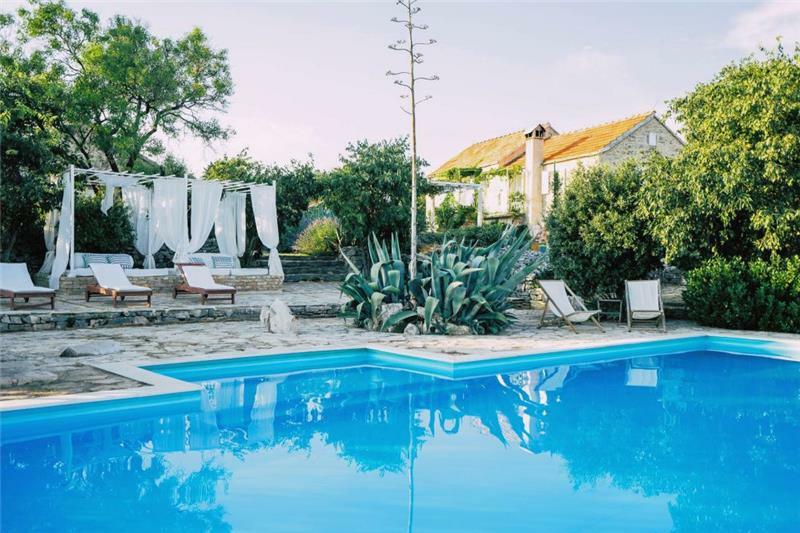 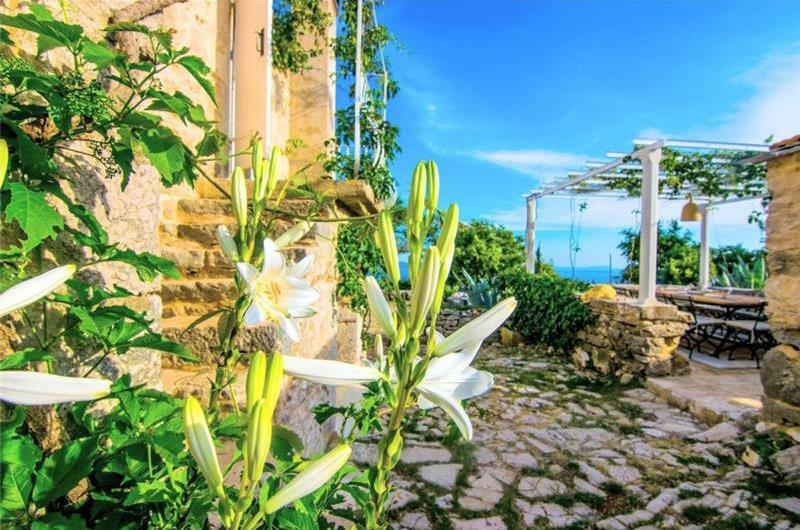 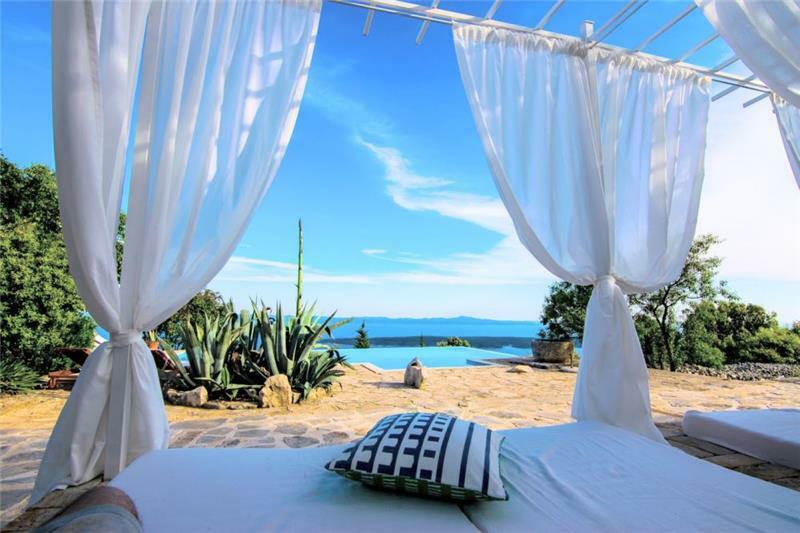 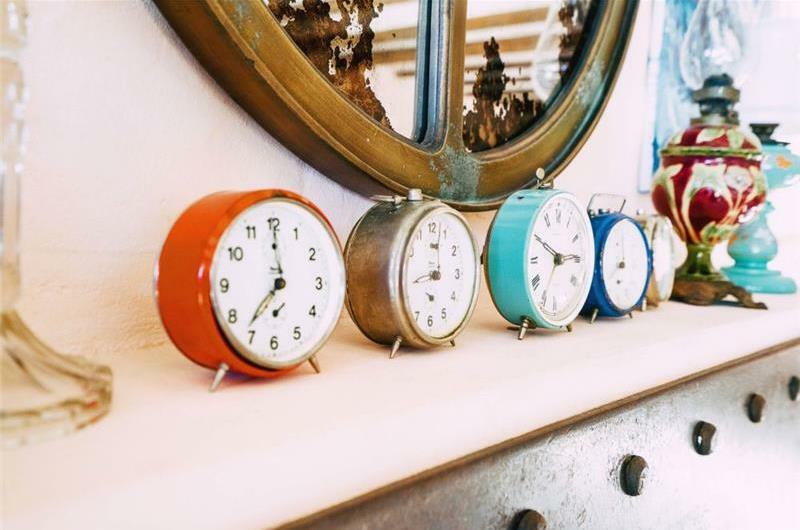 Not only does the villa make a wonderful holiday retreat for a large family or group of friends but it could also be considered as a suitable venue for special occasions (birthdays, once in a lifetime family gatherings, anniversary celebrations). 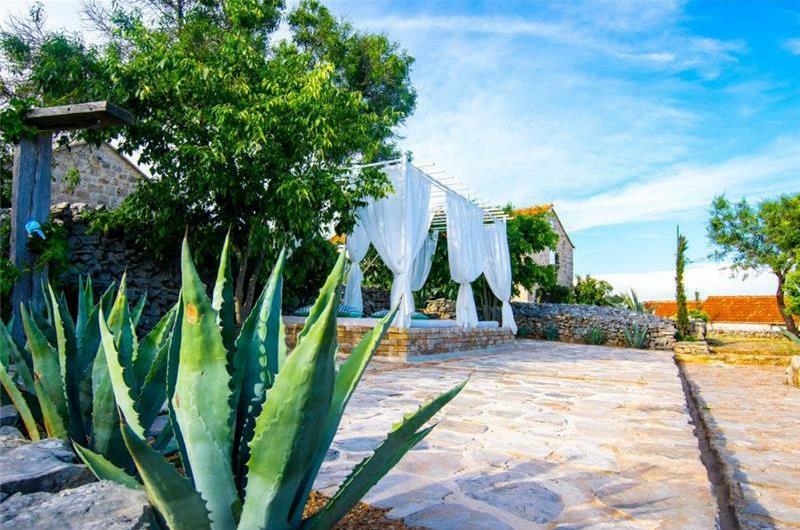 Upon leaving the main road, guests drive uphill along a gravel road for approximately 15-20 minutes before arriving at the villa. 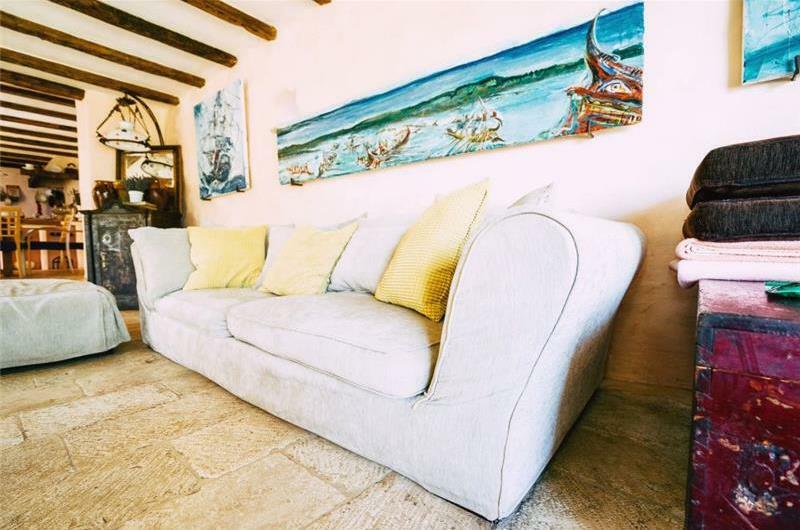 The main house is centrally located within the grounds and consists of on the ground floor a very spacious open plan kitchen/diner/lounge area with fireplace and large picture window offering guests uninterrupted views of the outside. 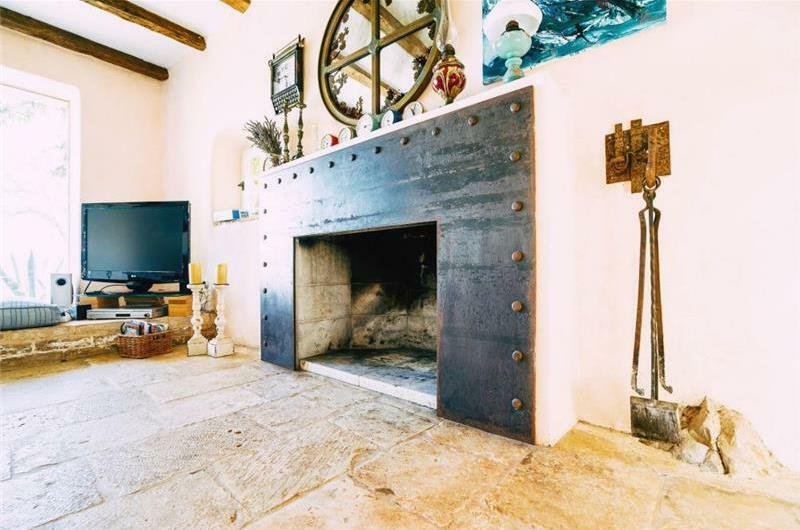 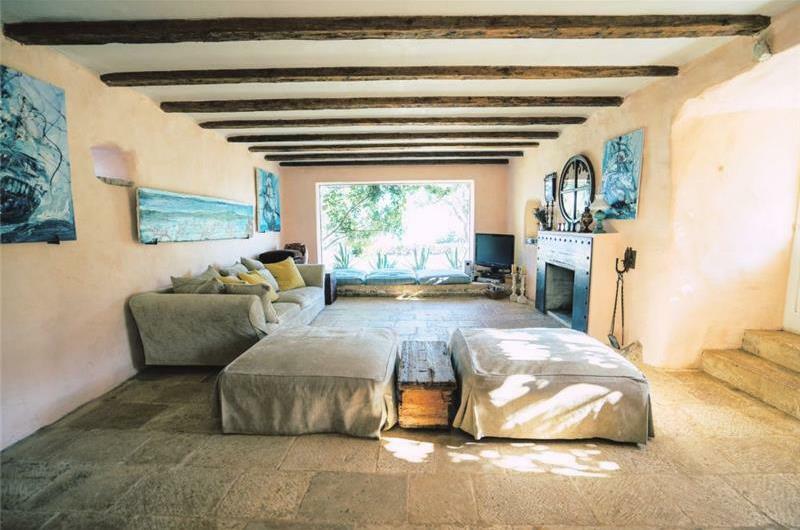 Stone floors, beamed ceilings and comfortable contemporary handmade furniture, sofas and cushions complete the décor of this room. 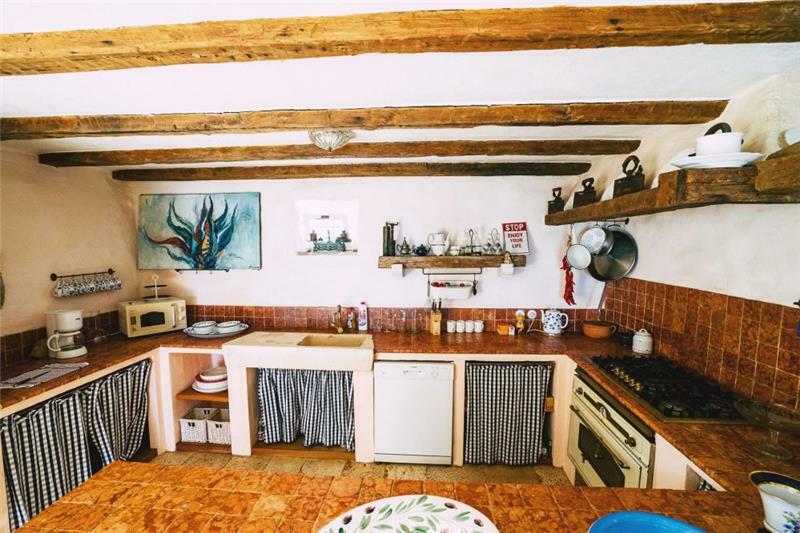 The first floor contains two bedrooms. 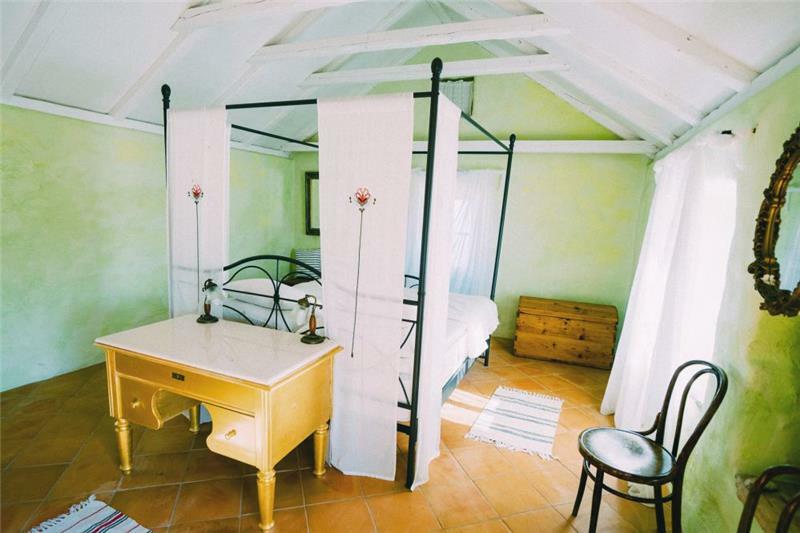 Each bedroom is accessed via its own external staircase from the outside of the main house (and not from within the downstairs area). 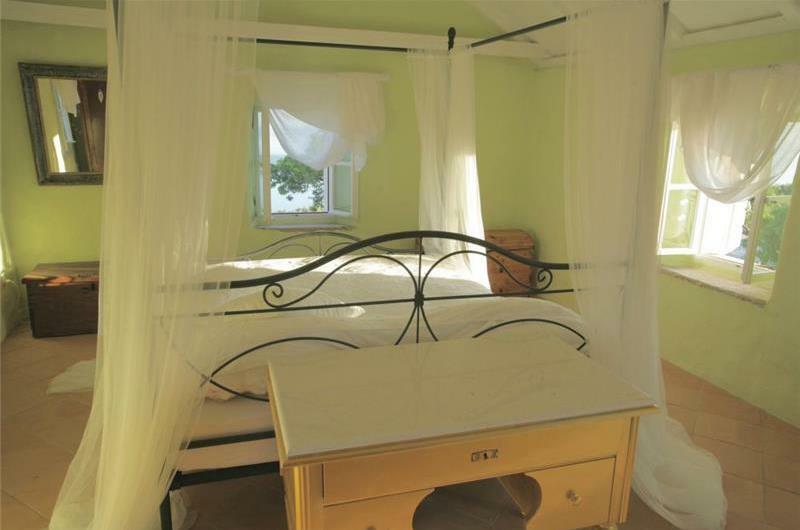 Bedroom number one consists of a double bed and en-suite shower room. Bedroom number two consists of a four poster double bed positioned so that guests can wake up in the morning and open the shutters to be greeted by a lovely sea view. 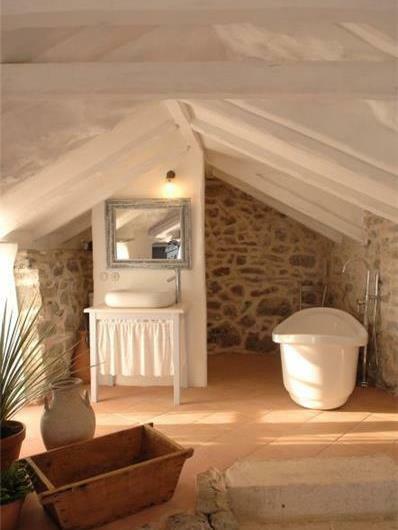 There is also an en-suite bathroom with this bedroom. 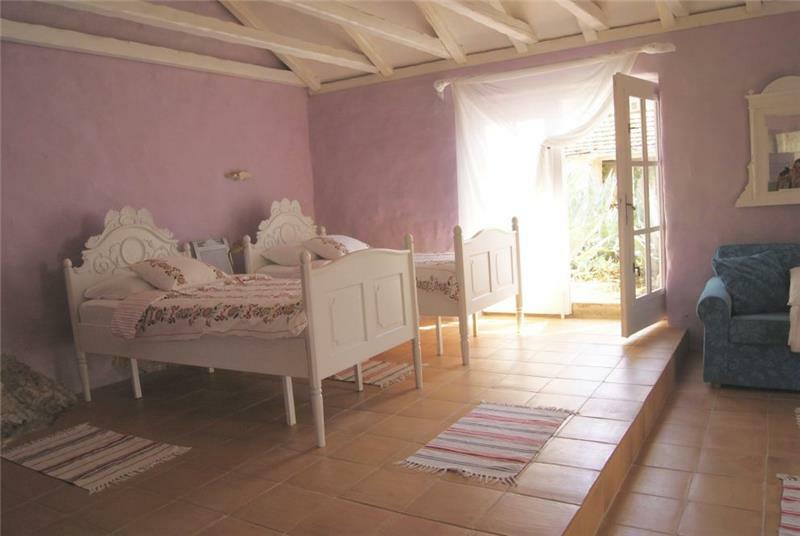 Within the grounds there are two further guest cottages. One cottage contains a very spacious twin bedroom along with a sofa bed (so could sleep up to four persons) with en-suite bathroom and two sets of French doors leading out onto a lovely patio area with sea and pool view. 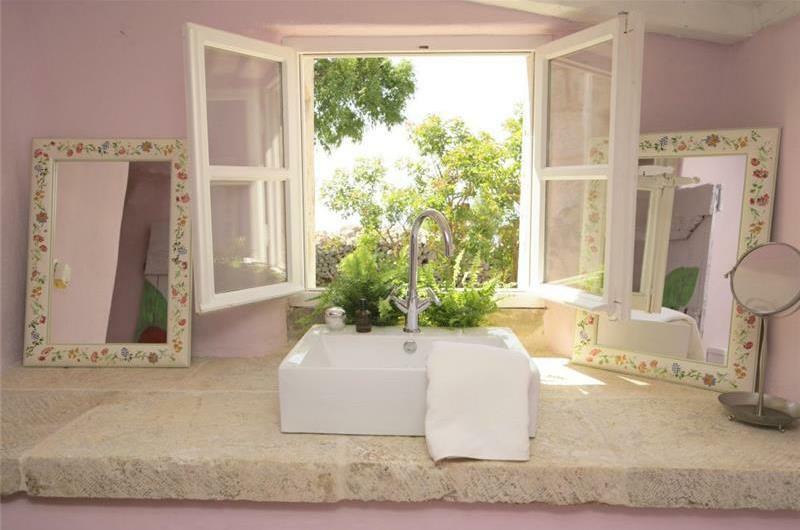 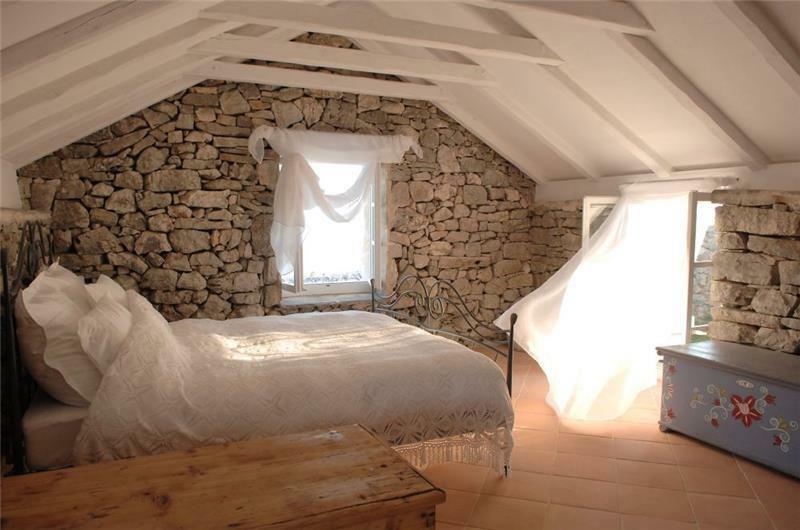 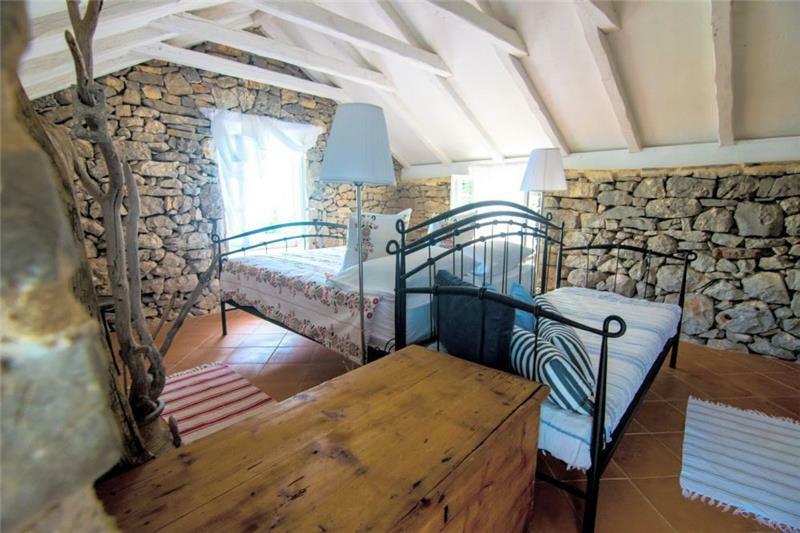 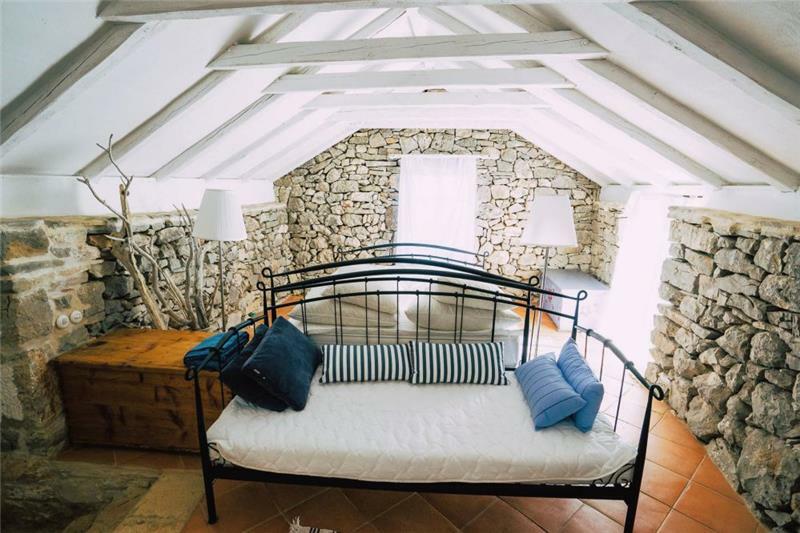 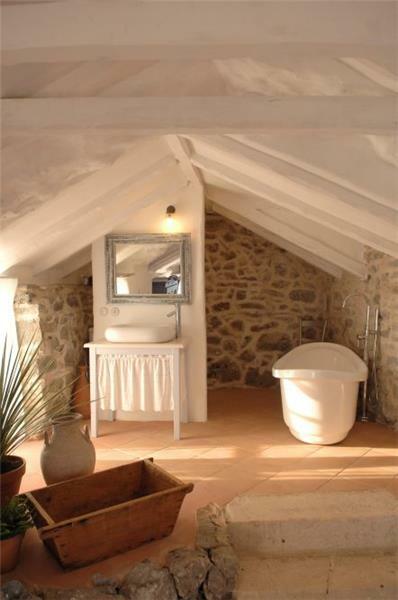 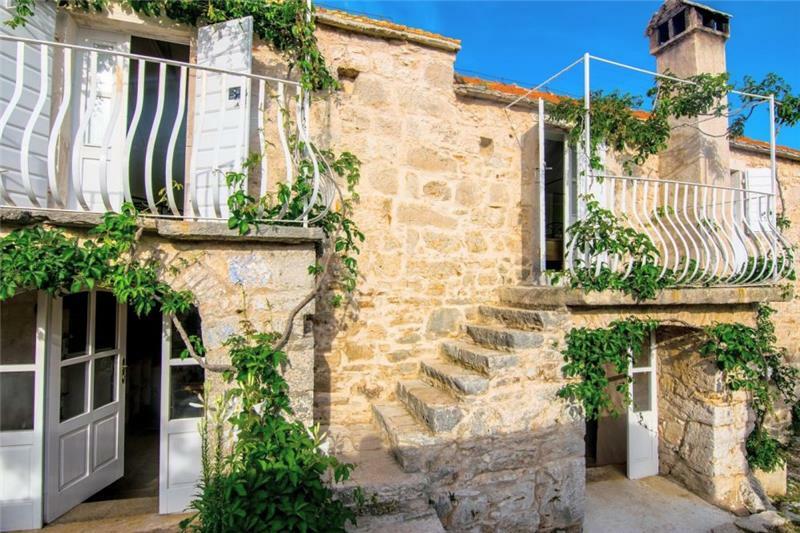 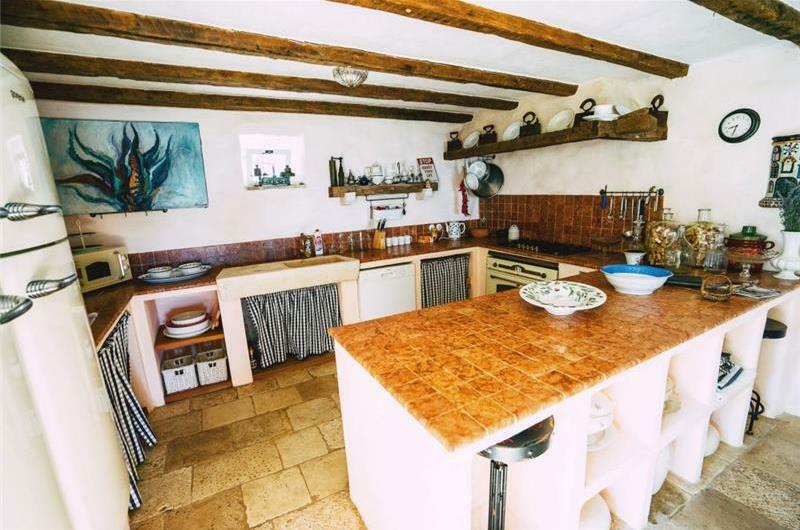 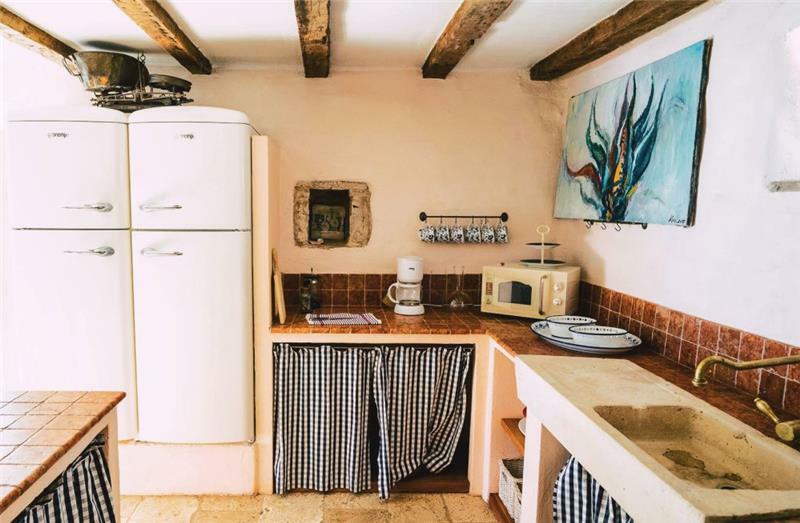 The second cottage is very romantic with exposed stone walls, white beamed ceilings, a double bed and steps leading up to a raised bathroom area complete with roll top bath, sink and separate toilet. 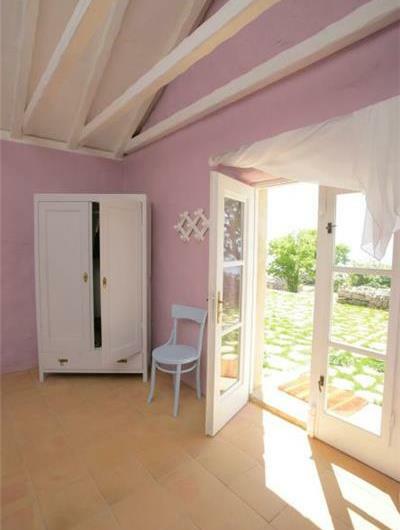 All the rooms are painted in pastel shades adding an additional summer flavour to the property. 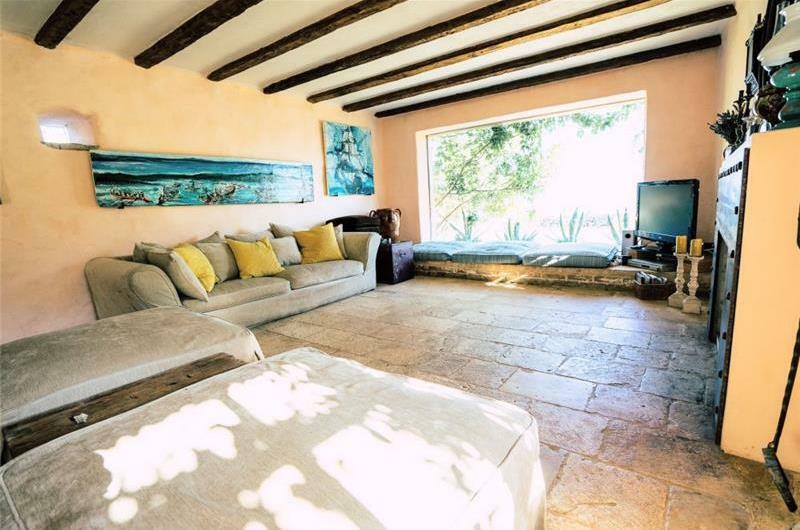 Underfloor heating runs through the entire villa. 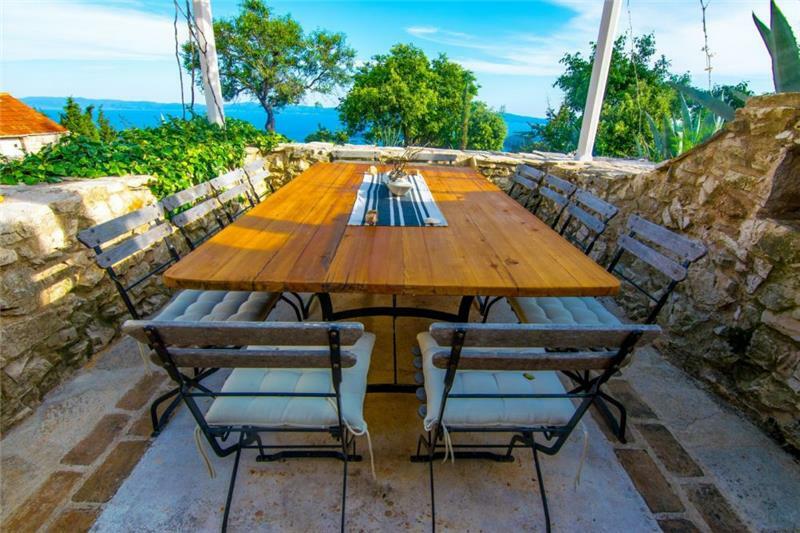 Outside there is a summer kitchen with a gas BBQ and sink all next to a wonderful pergola underneath which is a table which can seat up to 10 persons. Further on there is a comfortable cushioned outdoor seating area where you can sit and relax with a glass of wine in the evening. 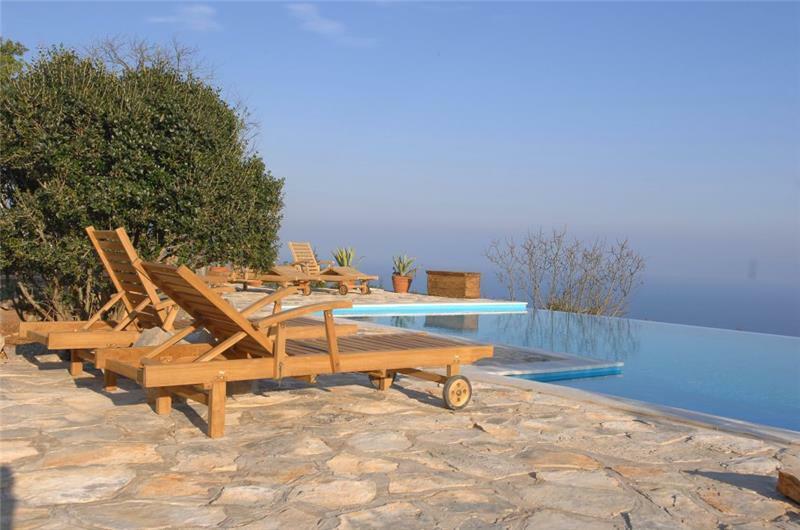 In the forefront sits the magnificent infinity pool. 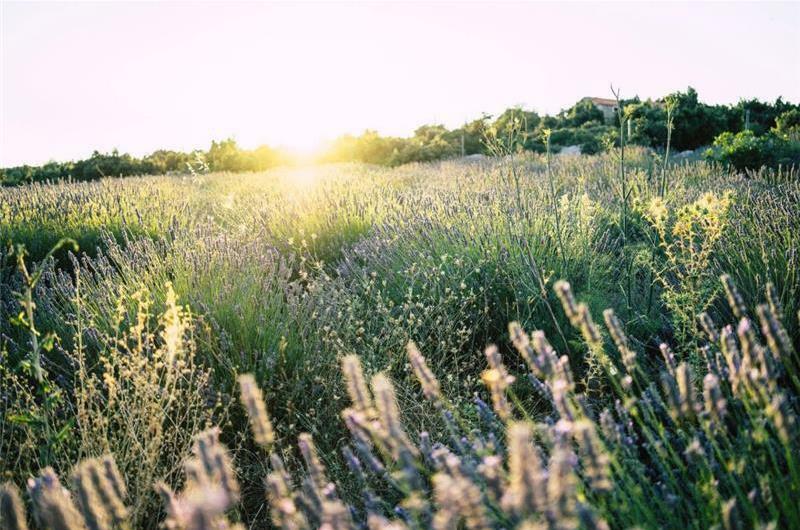 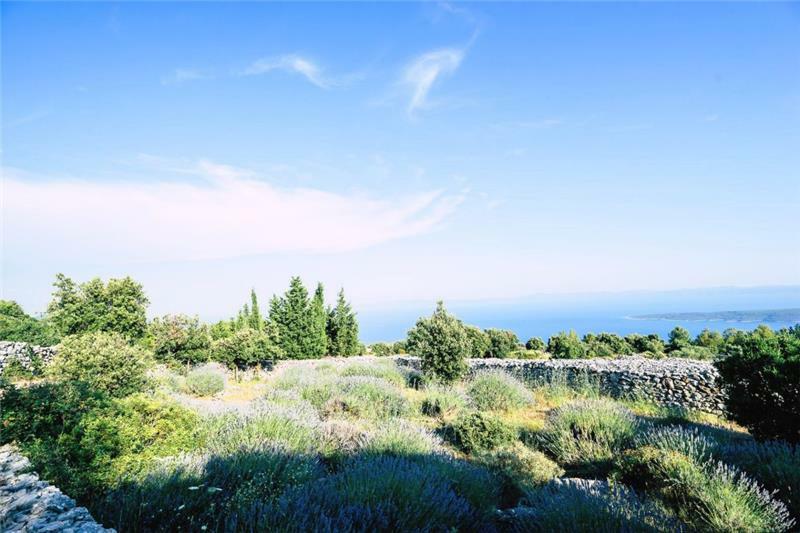 Within the garden there is an artificial grass tennis court surrounded by lavender plants. 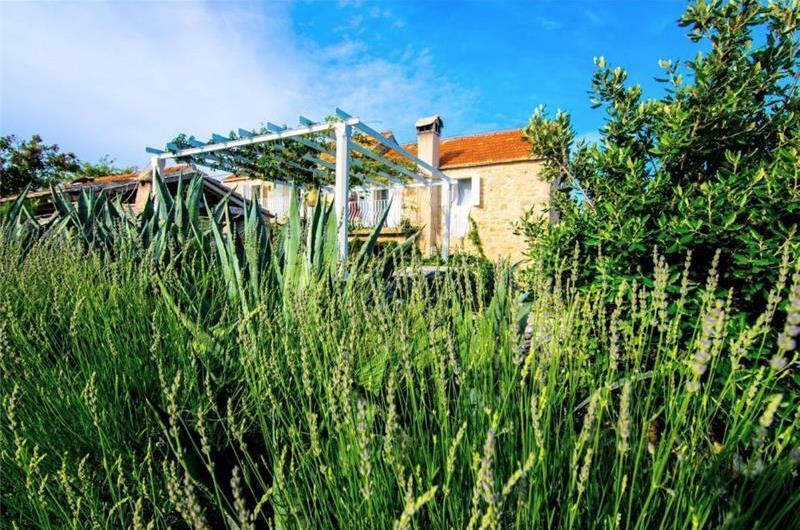 The vegetable garden to the rear of the villa is available for guests to help themselves to seasonal produce for their own use. 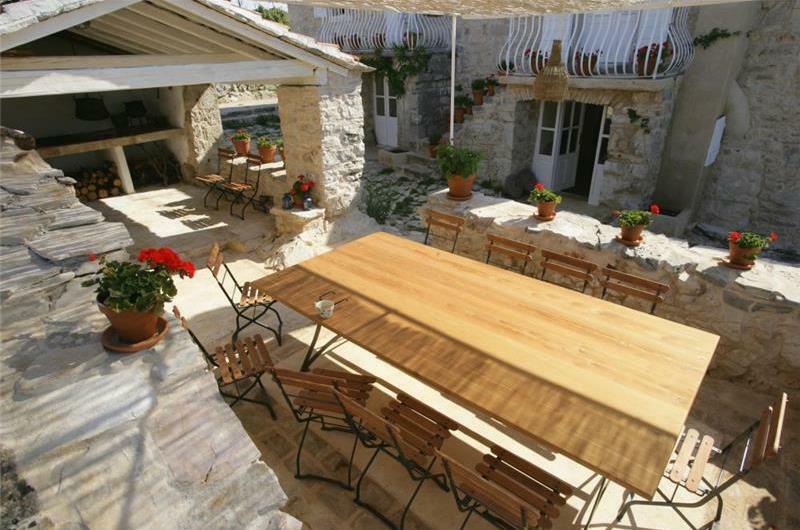 2kms from the villa there is a popular Konoba serving traditional food. We strongly recommend the renting of a 4WD vehicle for guests staying at this property, for further details on car hire please visit our car hire page or speak with one of our staff for details. The beaches in this area are excellent and are within 25 minutes drive down the hill from the villa at Ivan Dolac and Zavala. 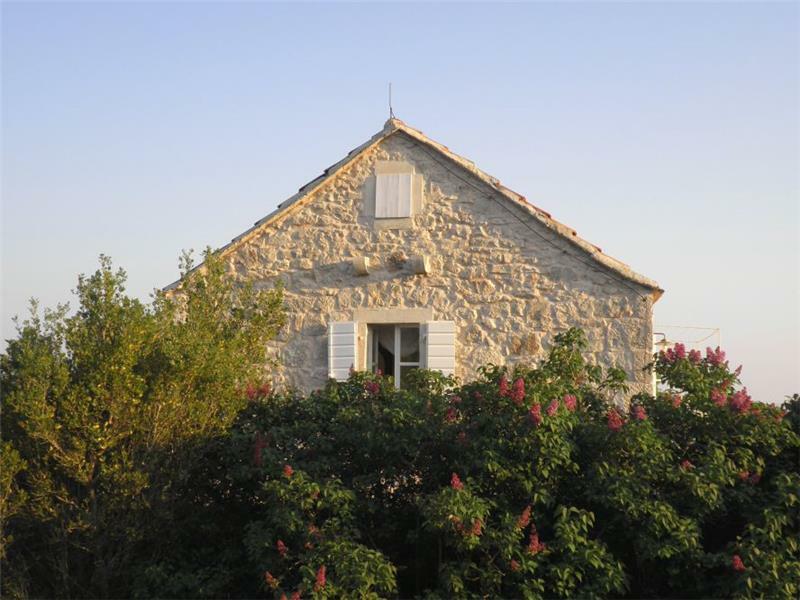 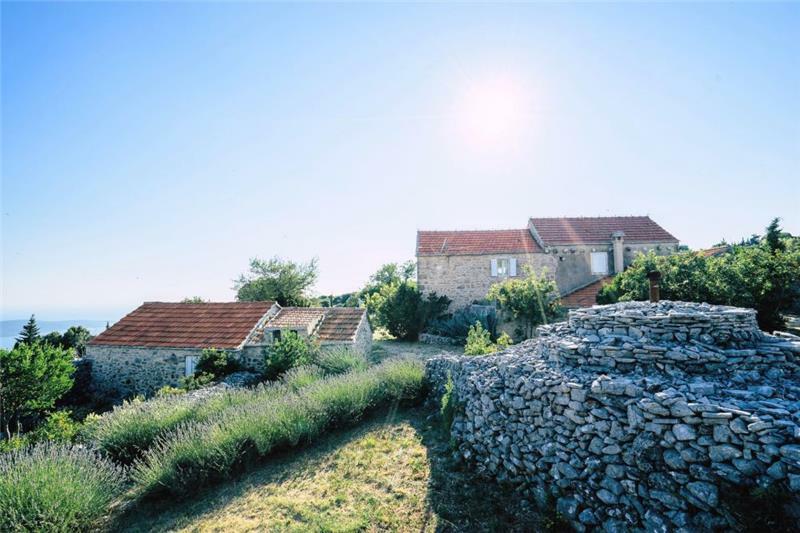 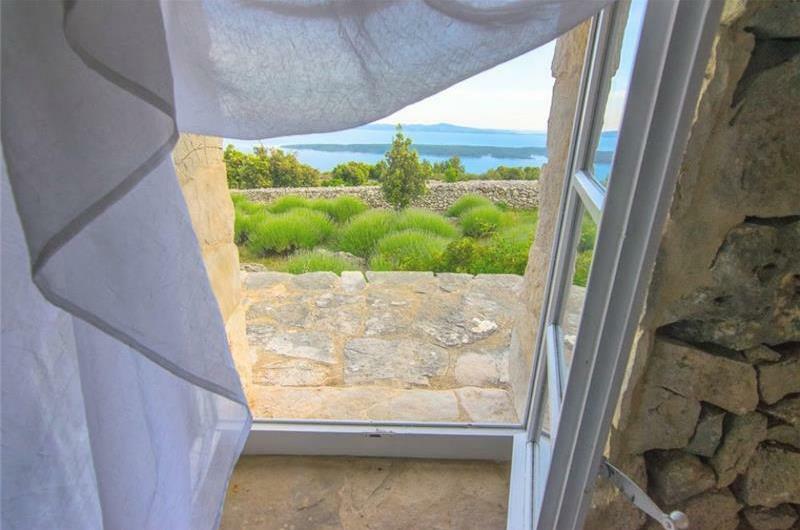 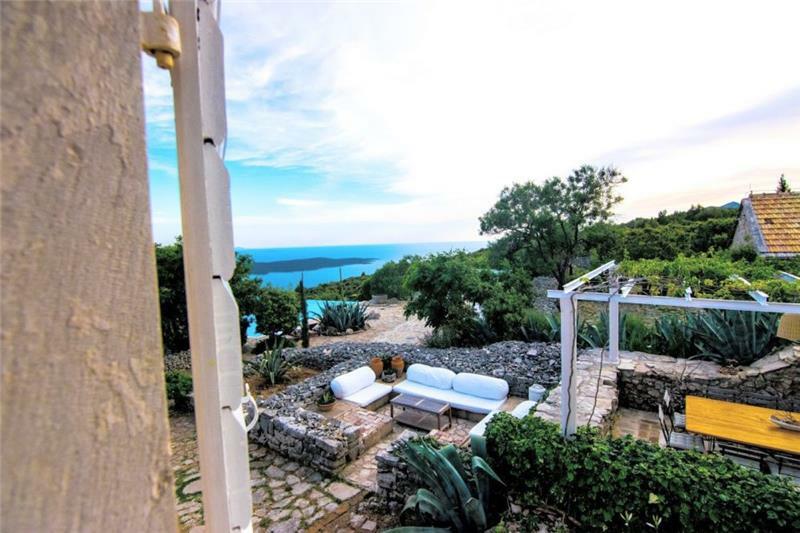 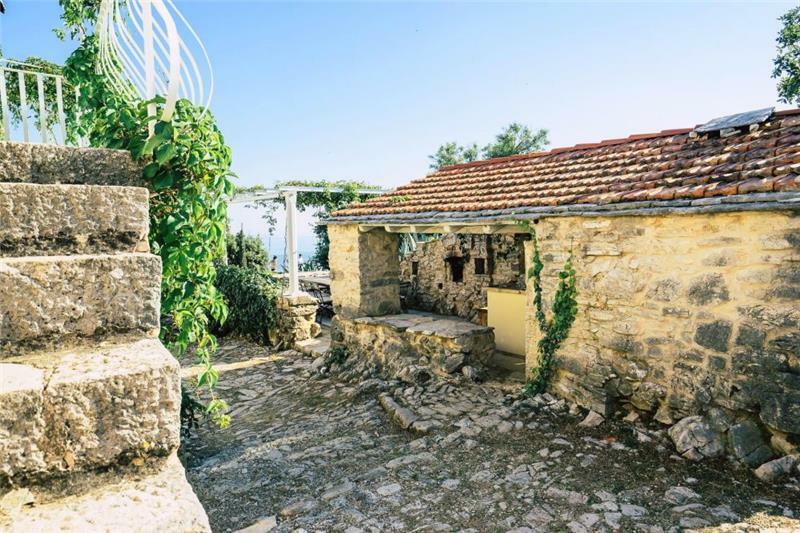 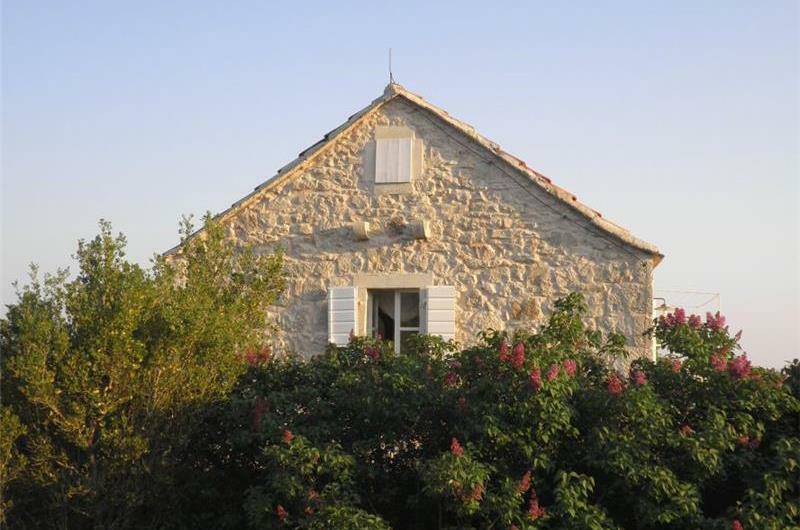 Nearest towns are Jelsa and Vrboska approximately 35 minutes away. 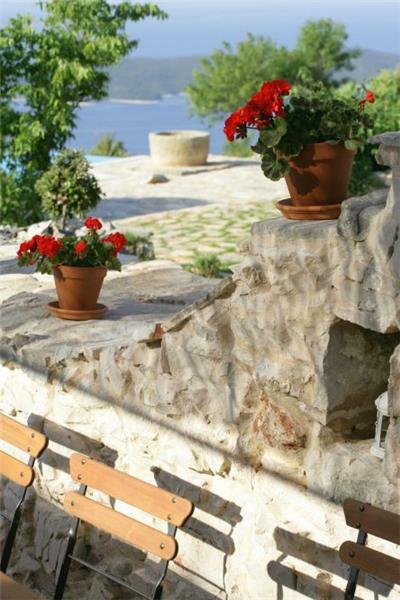 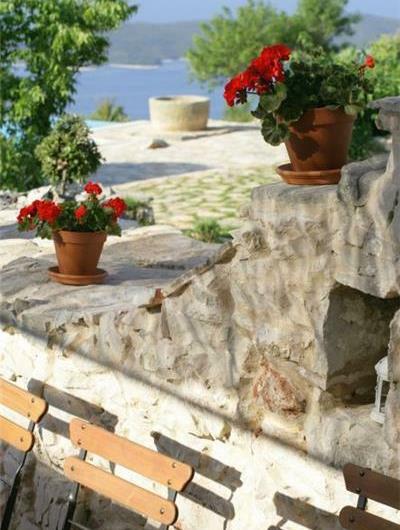 For more information about Hvar Island watch video. 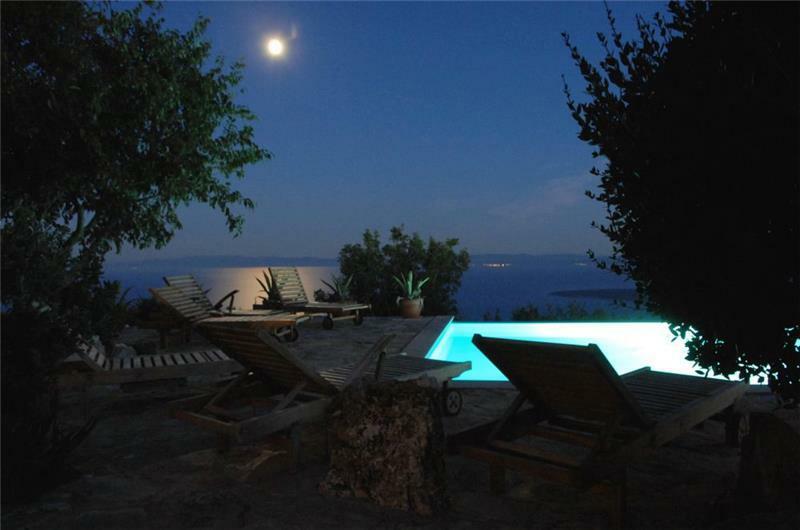 30 June - 01 Sept.